Dobra puhovka je najbrž ena najboljših investicij v vašo zimsko (in praktično celoletno) garderobo. Ima odlično razmerje toplote in teže, je zračna in se jo lahko enostavno stisne in pospravi na potovanju. In še najpomembnejše - z njo boste ogreti in zaščiteni v še tako mrzlih dneh. Ob velikem številu puhovk na tržišču, zasnovanih za različne razmere in aktivnosti, je najbrž težko izbrati pravo za vaše potrebe. Tu je nekaj napotkov skozi džunglo puha. 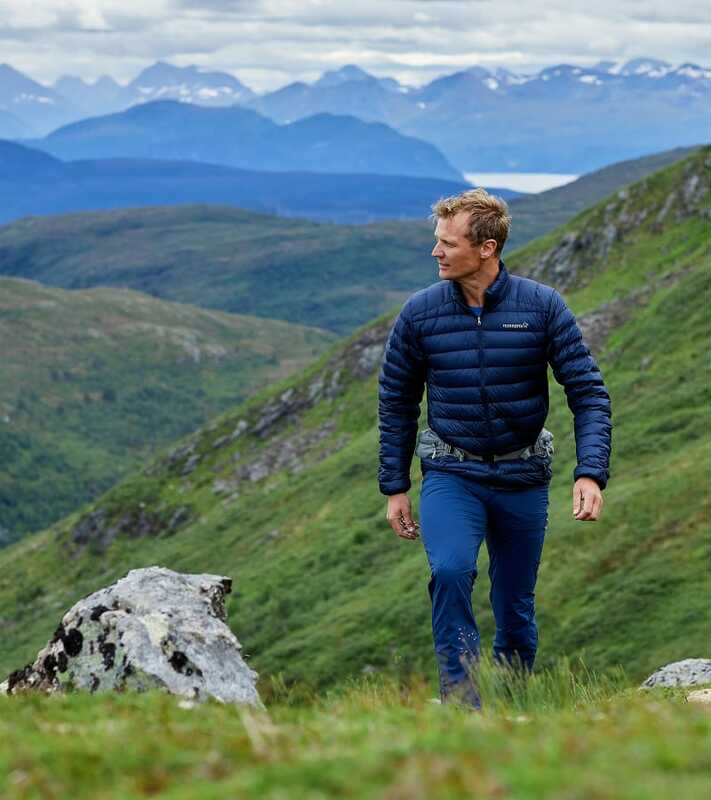 If you are looking for an all-season down jacket that can be used as an outer layer or as insulation underneath or on top of a shell jacket, we recommend you check out our bitihorn, falketind and lofoten collection. 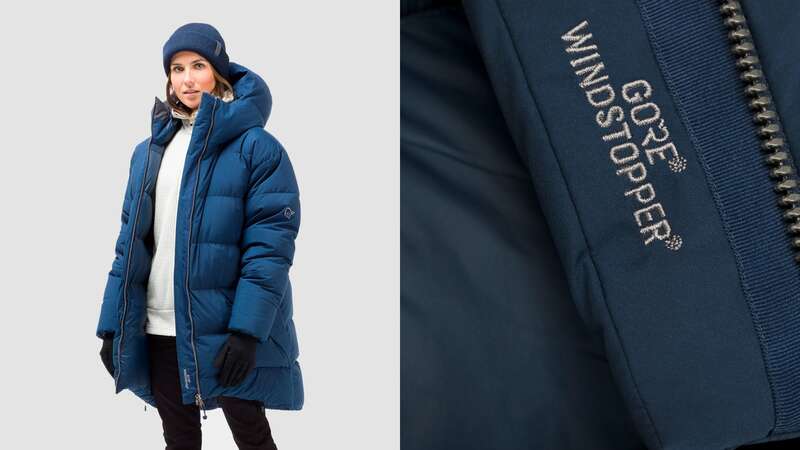 The falketind down and down hood jacket are versatile, lightweight and can be compressed into their own pocket. 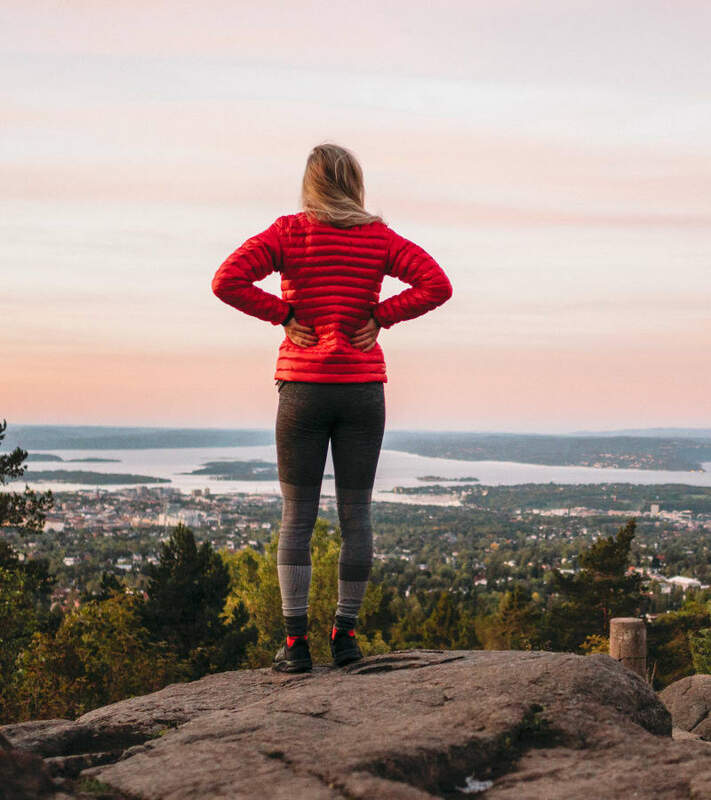 They're made for a great variety of outdoor activities, and work perfectly as an outer layer on cold summer days as well as mid-layer during the winter. 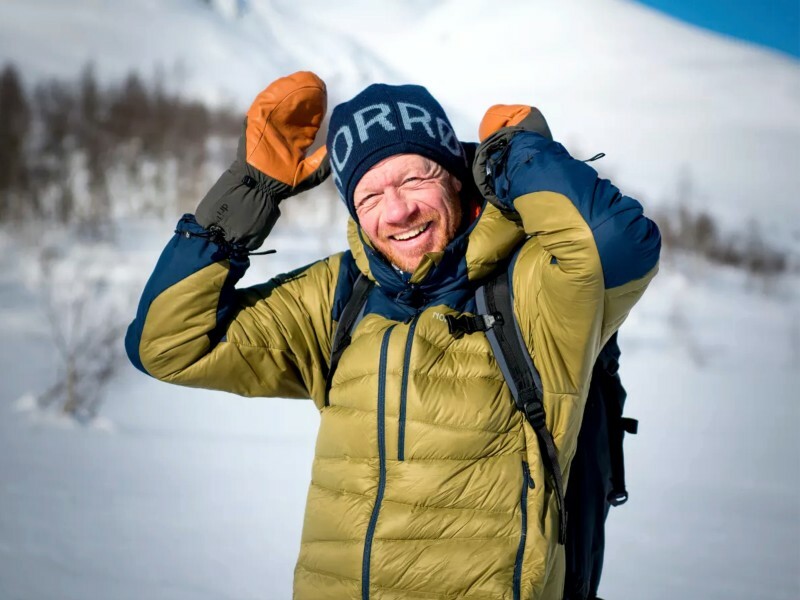 If you easily get heated or are going to be active in cold temperatures, you can also choose a down vest that keeps the torso warm and your movability maxed. Together with gloves and a beanie, a vest will keep your blood flowing on cold days. 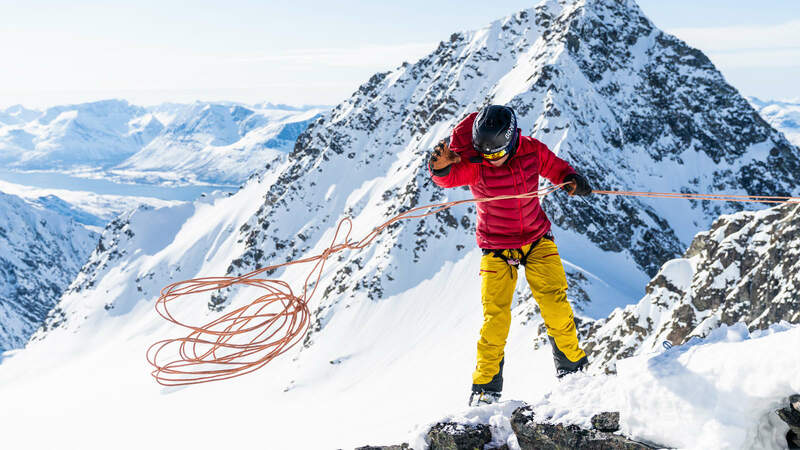 Being some of the lightest down pieces on the market, the minimalistic and bitihorn down900 jacket or sweater are the ultimate insulation pieces to bring along as they require minimal space and keep the weight down. It is perfect to pull on for some extra warmth when you have reached the peak, are taking a lunch break or just as a mid layer on colder days. 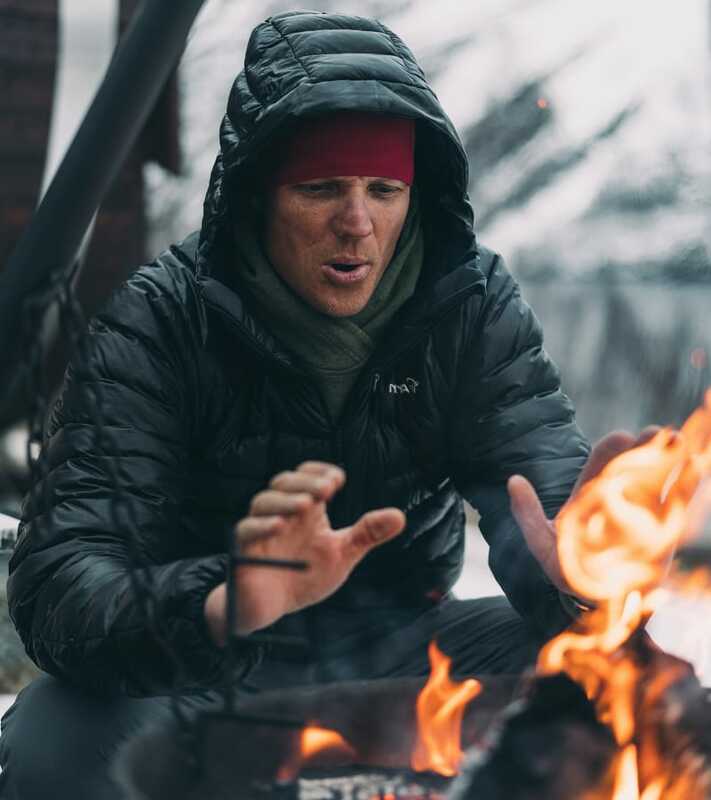 For maximum warmth and comfort on cold days in the mountains our trollveggen down850 jacket or lyngen down750 jacket got you covered. We can also recommend the lyngen down850 knickers to keep warm and comfy during your ski touring breaks. The trollveggen down850 jacket is our warmest and most durable down jacket, made for adventurous and demanding mountaineers. It offers excellent warmth and durability and will be an insulating companion for many years. 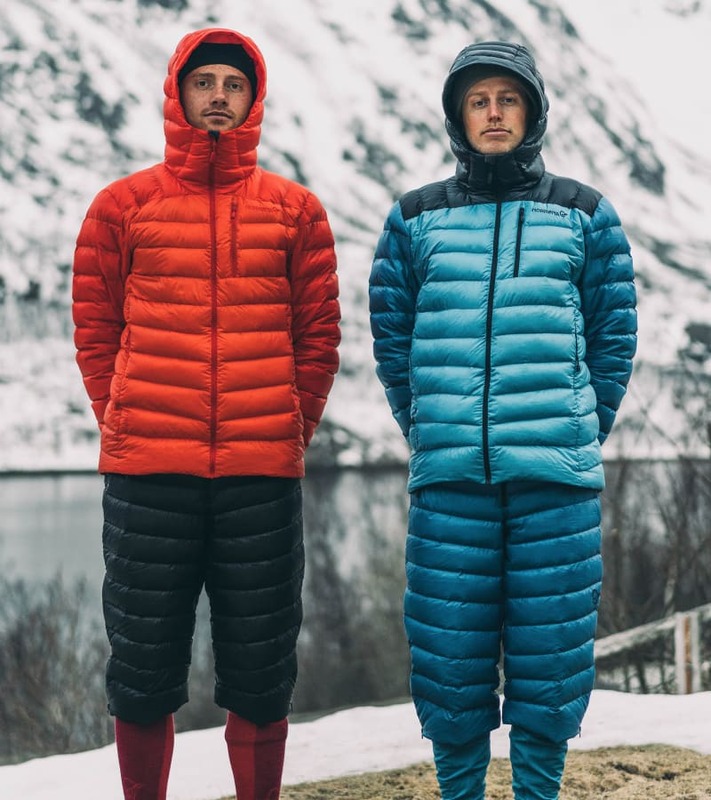 The lyngen down750 jacket and lyngen down850 knickers are the ultimate insulation garments when out ski touring. 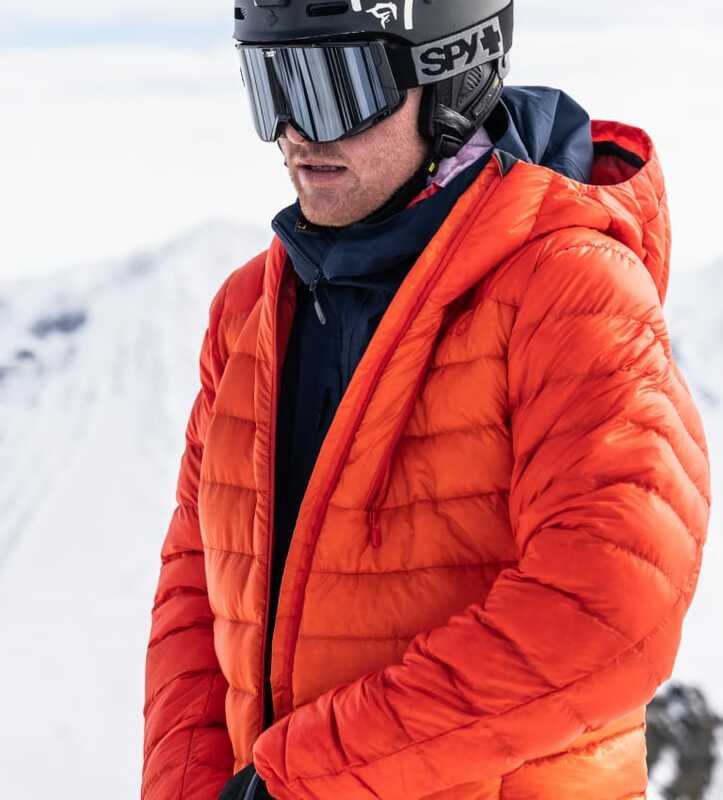 Filled with high quality down with a great warmth-to-weight ratio the lyngen down jacket is our lightest down with a hood. The prizewinning knickers will ensure your lower body stay warm and won't feel left out. Both can easily be compressed into a packable pocket. Staying warm shouldn't compromise on design. Consisting of street smart, functional and timeless designs, our oslo and røldal collection keep you warm through a cold winter in the city. Norrøna only uses down that is Responsible Down Standard (RDS) certified which ensures that down and feathers come from animals that are treated well and according to the five freedoms; Freedom from hunger and thirst, Freedom from discomfort, Freedom from pain, injury or disease, Freedom to express normal behavior, and Freedom from fear and distress. Machine wash on a gentle cycle (40 degrees C/104 degrees F) with gentle soap, preferably ment for down products. We recommend two rinse cycles. Tumble dry the product on low heat with two clean tennis balls until the product is completely dry. Do not use fabric softener. Do not dry clean or bleach.